how long we keep your information for. When you register for our website, complete a contact form, subscribe to any services or use our products and services, we may collect data or ask you to provide certain data for the purposes of helping us manage our relationship with you. Any other information that you voluntarily submit to / send to the website. Technical Data such as [internet protocol (IP) address, your login data, browser type and version, time zone setting and location, browser plug-in types and versions, operating system and platform and other technology on the devices you use to access this website]. Your name, job title, company name and email address when you take part in any competitions, surveys or promotional events hosted by Vela. Generally, we do not rely on consent as a legal basis for processing your personal data other than in relation to sending third-party direct marketing communications to you via email or text message. You have the right to withdraw consent to such activity at any time by email or using the UNSUBSCRIBE option available on the communication. To manage and provide technical support for products and services and an after-sales service. On the basis of legal obligations, we are obligated to, for instance, keep records for tax purposes or regulatory purposes for particular products and services. providers of cloud based accounting software to support the management of finance and accounting. Vela may also disclose your data to a third party who acquires all or a substantial part of our business by way or merger, consolidation or purchase of a substantial proportion of our assets. In addition to the disclosures reasonably necessary for the purposes listed above, Vela may disclose your personal information to the extent that is required by law and in order to establish, exercise or defend its legal rights. 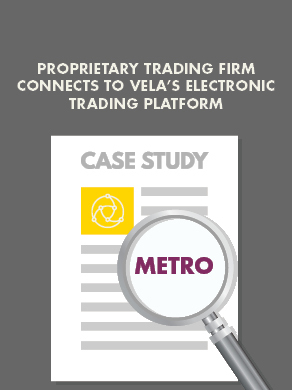 As a global company with a number of different international entities under the Vela Trading Systems LLC parent entity, we rely on shared services, some of which are located outside of Europe and so your information may be transferred internationally. Vela shall act as the data controller of any personal information that we receive from you and we are committed to ensuring the security of this data. Vela will take reasonable technical and organizational precautions to prevent the loss, misuse or alteration of your personal information. Vela has appropriate policies and technical and organizational measures in place to safeguard and protect your personal data against unlawful or unauthorized access, accidental loss or destruction, damage, unlawful or unauthorized use and disclosure. All employees follow a security training program to ensure they have adequate training with regards to handling personal data. If despite our security procedures personal information is inadvertently disclosed, we shall use all reasonable endeavors to limit and remedy the disclosure but to the extent permitted by law we accept no liability for unintentional disclosure. lodge a complaint with the Information Commissioners Office. Details of retention periods for different aspects of your personal data are available in our retention policy which you can request from using the contact details provided below. www.tradevela.com contains links to partner companies and third party websites. If you follow a link to any of those third-party websites, please note that those websites have their own privacy policies and we do not accept any responsibility or liability for those practices. Please check those policies before you submit any personal data to those websites.